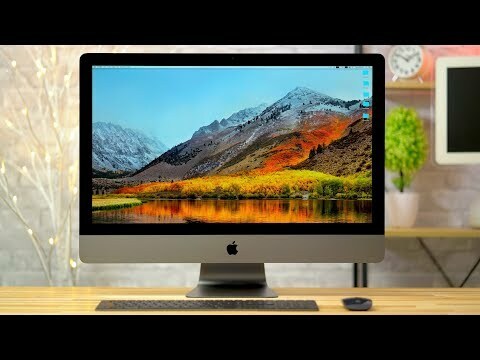 The last configuration of iMac Pro is starting to ship to consumers worldwide, with readers informing AppleInsider that they have custody of the machine now. AppleInsider was tipped on Monday morning, and has confirmed with its sources not authorized to speak on behalf of the company that "early orders" of the 14-core iMac Pro have shipped to not just U.S. based customers, but to international ones as well. Apple's iMac Pro is loaded with "server grade" components. It has a base configuration with an eight-core processor running at 3.2 gigahertz, 32 gigabytes of ECC DDR4 2666 RAM, a Vega 56 GPU with 8GB of VRAM, and 1 terabyte of flash storage. Configurations shipping in 2017 included the 8- and 10-core models, up to 4TB of storage on either configuration, either the Vega 56 with 8GB of RAM or the Vega 64 GPU with 16GB of RAM, and up to 128GB of RAM, with the 14- and 18-core models now shipping as well. A 14-core iMac Pro model starts at around $6600, and escalates rapidly, depending on configuration. A maxed-out 18-core iMac Pro costs $13,199. Standard configurations can be picked up for full retail cost at Apple Stores now, with an online order for a 14-core model arriving between Feb. 19 and Mar. 5, according to Apple. I'd really like to get a 10-core model iMac Pro this year. It just seems more practical to buy an iMac Pro than a full-CTO version of a regular iMac if I'm going to keep it for five years or more. It would be nice to grab a refurbished iMac Pro later this year. Yes I'd like to see what the iMac Pro refurbs will look like price wise. I bet they go fast when they start becoming available. Refurbs are actually a great way to get a deal on a Mac if you want to buy directly from Apple, and they're typically just like brand new. You can even add AppleCare to them which some people may not know. You just don't get the fancy looking box they normally ship in. I have a refurb 2012 Mac Pro tower and you'd never know it was a refurb. Its a great computer...no issues what so ever. If you're in the market, it's REALLY hard to argue with the $500 off deal that B&H has running now, and the $1000 off at MicroCenter that runs periodically -- assuming you have one near you. I'm guessing April on refurbs. I can also get an educational discount since I work in a school district. I think that's also $500 off. I'm sure that will pretty much be the discount for a refurb, but sometimes its lower than the educational discount brand new. When will you guys do a thermal test on both 18 and 14-core version? It will runs whole lot hotter with more cores. That said, it will depend on what we can get a hold of for review units. Stand by.